When we talk about advanced crochet, we’re thinking about very complex crochet patterns that involve some of the less known or more complex stitches that exist. There are so many fabulous combinations just waiting for you to try them out! This fabulous hat uses front post stitches to create a cable effect with puff stitches in between – it’s a tricky stitch repeat but well worth mastering for such a wonderfully textured result! Crochet with finer yarn is far more difficult to master than working with a DK or bigger weight. Lena’s fabulous Floral Bubbles shawl is worked in lace weight yarn (the glorious Yarn Collective Portland Lace), and with patterns like these your pattern or chart reading skills really come into play, knowing exactly where to put your hook from stitch to stitch is key. Although crochet stitches themselves are not complex, it’s the way in which we use them that makes a project more difficult. This fabulous cowl uses slip stitches, and once you get the hang of them, you’ll be flying along creating this gorgeous knit-like texture! Using short rows and slip stitches, Vashti B has created this fantastic choppy wedge shaped texture that you can use in a variety of ways for scarves, shawls, and blankets. It’s a technique that should be used much more often because it looks fantastic! Another fabulous technique from Vashti B – using slip stitches this time into the back loop, creating a variation on a hump stitch to create ribbing that looks just like knit stitches. This cosy ponchette has a hood to keep you really warm! A fabulous example of complex overlay crochet! Tatsiana from Lillabjorn Crochet is famous for her intricate, beautiful crochet patterns, and this shows just how detailed a mandala can be. Using front post stitches and working across rounds you can build texture and height, using colour to cleverly show off the stitches. Front post stitches once again are the hero stitches in this brilliant beanie by Alana Harley! They are key to building these brilliant cables – and just look at that magnificent texture! 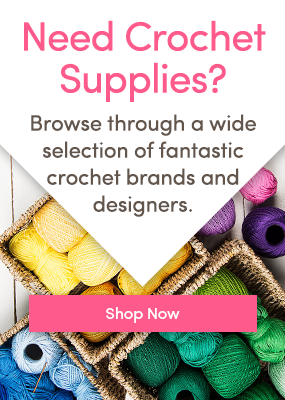 Creating crochet cables is fun once you can do it – what you need to learn is just where to put your hook to site them – and once you’ve got that hooked, you’re ready to go! There are some interesting techniques at play in this gorgeous Marsala and Cream set from Moogly. First of all you just carry the yarns with you throughout the whole project without fastening off and reattaching. It’s a two row repeat, but it’s one of those patterns that looks far more complicated than it truly is! Have a go! Amigurumi requires a skill set that includes being able to work with very fine hooks and yarn, while being incredibly neat! If you haven’t had a go, there are some simple amigurumi patterns that are fabulous to begin with, but when you get proficient, you will want to look at the incredible amigurumi patterns created by Ilaria Caliri. They are absolutely extraordinary and the attention to detail incredible! Colour work crochet is wonderful, shown off beautifully by prolific designer Little Doolally, who uses it to create the most adorable cushions and baby blankets! There are two ways to work colour like this – by either carrying the yarn with you across the work (tapestry crochet), or by changing colour the stitch before you need to, working in small areas (intarsia). Both are so effective! Try one of Little Doolally’s cushions for a first attempt, working in an aran weight yarn to begin with until you are more confident with colour changing! Do you have favourite advanced crochet technique? 5 Crochet Projects You Can Make for Under $50! 7 FREE Winter Crochet Patterns! 10 Crochet Projects for Thanksgiving! 12 Easter projects you need to see! One Response to 10 of the Most Challenging Crochet Projects You’ve Ever Seen! I cannot wait to try a few of these! I love a challenge!